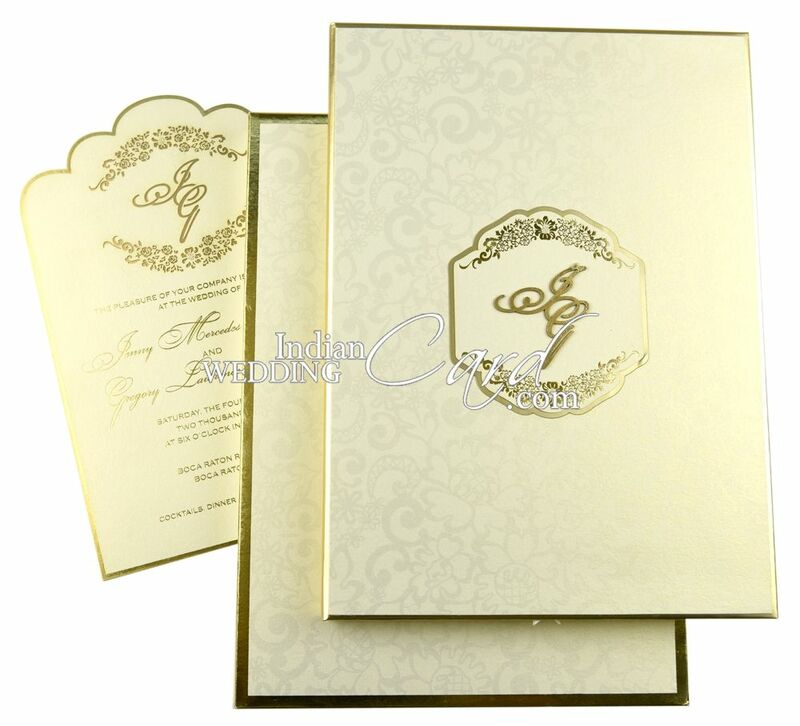 D-6830, Cream Color, Shimmery Finish Paper, Designer Multifaith Invitations, Exclusive Invitations. Matt Gold paper for thick hardbound card. Cream shimmer paper for card front paste-up, inside left side, cavity box and double pasted and laser cut thick insert. 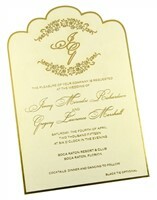 2 layer laser cut paste-up on front of card with gold initials in center.